Why should the free and open source software community regard their work as a commons? 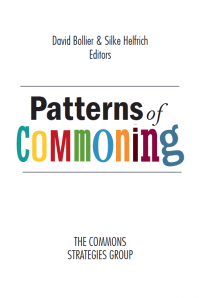 For people focused on building a specific piece of software, the need to label it a "commons" may seem gratuitous. What's the value? But there are some good reasons for understanding free/open source software as a commons, as I explain in a recent essay published by the FLOSS Roadmap project. First, a quick aside on terminology: "FLOSS" stands for "free/libre/open source software," with the French word "libre" often used because it does not have the double meaning of "free" -- "without constraint" and "at no cost." Free software and open source software both have similar systems for developing software, but they have different cultures and political philosophies. The term "FLOSS" (or sometimes "FOSS") is used as an inclusive, non-judgmental reference to both. The FLOSS Roadmap is a collaborative space in which all sorts of hackers, business people and others speculate about the future of FLOSS between now and the year 2020. Every year, a series of contributors make informed guesses about how the software will evolve, and also how the economy, politics and culture may be affected by FLOSS developments. There are three essays this year. I write about FLOSS as a commons (see below). Michael Tiemann,vice president of Red Hat, the Linux vendor, writes about the embrace of FLOSS by BRIC countries (Brazil, Russia, India, China). And Philippe Aigrain the head of a French software firm, Sopinspace -- Society for Public Information Spaces -- that hosts the public debate of policy issues, writes about the future of user and programmer freedoms as computing moves into the "cloud." The cloud is the emerging practice of having remote servers host sophisticated Web applications and user data, supplanting the need for PCs and allowing greater use of rudimentary mobile devices. FLOSS as Commons: What is the way, what are the actions for having FLOSS acknowledged globally as a strategic and crucial common for knowledge society? Is FLOSS paving the way for bigger initiatives and larger variety of commons? Even though FLOSS has generated countless high-quality software programs, public recognition of FLOSS as a powerful alternative mode of value-creation - functioning outside of the marketplace, yet in constructive symbiosis with it - has lagged. Similarly, the deep affinities between FLOSS and other forms of online collaboration are not readily recognized by economic theorists, public policymakers and the general public. They tend to see communities of online collaboration either as interesting novelties having no larger theoretical significance or as "open business models" that happen to rely upon the social relationships of users (e.g., "user-generated content" and "social networking"). FLOSS and Web 2.0 innovations, however, are based on socially created value, and they constitute a distinct paradigm of economic and cultural production. This paradigm needs to be recognized and honored as a powerful generative force in its own right. One way to advance this understanding is to conceptualize FLOSS and other collaborative endeavors as commons. 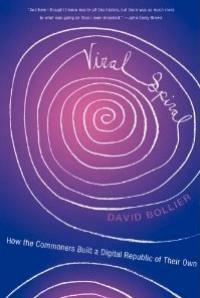 The language of the commons can help validate the distinctive social dynamics of online sharing and collaboration and generalize them as significant forces in economic and cultural production. This can help popularize the idea that FLOSS and digital collaboration more generally are critical forces in the global knowledge society. Without such a language of the commons, market metrics and discourse tend to prevail. This is fine as far as it goes. But the conventional market narrative provides a misleading ontology and epistemology for describing FLOSS communities. Market discourse focuses on "rational" individuals seeking to maximize their material self-interest and "utility"; profit and capital accumulation are seen as the preeminent goals. FLOSS and other commons, however, are based on a more expansive set of personal and social goals; material self-interest is not the paramount or exclusive goal. Creative freedom and political autonomy, not to mention social camaraderie, reputation-building and the sheer pleasure of collaboration, tend to be the animating attributes of digital commons. FLOSS has its own special governance systems and social ethic to manage its shared resource (intangible software code). But there are many related types of digital communities - wikis, web archives, social networking sites, remix and mashup communities, open access publishing, eclectic pools of Creative Commons-licensed material, etc. - that have their own systems for protecting their work, organizing their participants, disciplining vandals, etc. It helps to see these diversified "digital tribes" as part of the same, larger phenomenon - the Commons Sector. Collectively, collaborative communities represent a significant non-market mode of productive capacity. FLOSS has also shown that it is entirely possible to conjoin the interests of a commons with those of the market, provided that the rules and ethic for monetizing the fruits of the commons respect the integrity of the community of practice. There are a number of significant works exploring the nature of collaborative creativity (Yochai Benkler, Clay Shirky, Jonathan Zittrain, Lawerence Lessig, Mathieu O'Neil), as well as studies about the functioning of FLOSS in particular (Samir Chopra and Scott D. Dexter, Steve Weber, Eben Moglen, the Free Software Foundation). Notwithstanding many academic studies, we do not yet have a shared conceptual framework or popular language for describing the serious work performed by open, collaborative communities on the Internet. For example, we have not adequately explored the governance and sociology of self-organized, online communities. We need richer analytic models for explaining why digital commons are generative; what rules and social norms are critical to their functioning and continuity; what types of activity are (and are not) amenable to open collaboration; and what governance structures may be necessary to enable commoners to manage and preserve their shared assets (code, information, photos, creative works, etc.) while still engaging with markets. 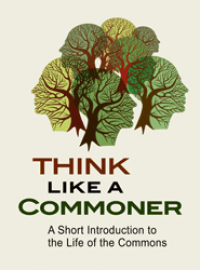 The discourse and literature of the commons can help address these issues. They can also help situate FLOSS in a larger digital and cultural context. And they can more accurately describe the on-the-ground social dynamics of FLOSS communities than market theory. 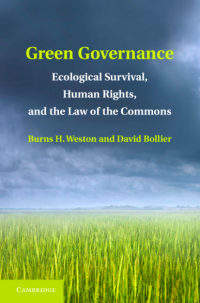 The commons discourse has been steadily gaining ground over the past two decades, thanks in part to the pioneering work of political scientist Elinor Ostrom, who won the Nobel Prize in Economics in 2009 for her studies of the governance of "common pool resources." Commons analysis has been elaborated and extended by natural resource scholars associated with the International Association for the Study of Commons; theorists such as law professors Lawrence Lessig, Yochai Benkler and James Boyle; and by activists such as Silke Helfrich, Michel Bauwens, Philippe Aigrain and myself, among many others. What has emerged over the past ten years in particular is a rich contemporary vocabulary for thinking about the management of shared resources - a perspective that eludes conventional economists and market-based policymakers. FLOSS has been a key inspiration for much of the commons literature because it is such a relatively pure embodiment of the basic principles of the commons. Through the General Public License and open-source licenses, communities of programmers are able to generate valuable shared code, assure their ability to share and improve the code, and most importantly, prevent its private appropriation. FLOSS communities have solved many of the recurrent problems that afflict commons, such as how to preserve the commons (resource, community and social values) over time and how to prevent the appropriation or abuse of a common resource. The FLOSS social-production ethic is so admired that the term "open source" has become a universal cultural signifier for initiatives that honor bottom-up innovation, participation, collaboration, transparency and community accountability. Unfortunately, "free software" and "open source" are also seen as arcane, complicated technical fields. This deters the public and policymakers from exploring the substantive dynamics of FLOSS - and in any case, the specific governance schemes for FLOSS projects are likely to differ from those of Wikipedia, the DailyKos, the Internet Archive and various "content commons." The language of the commons provides a rigorous framework for considering diverse collaborative communities in a single landscape. 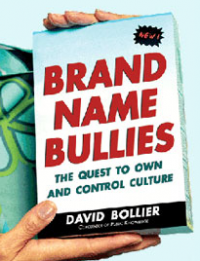 It offers a powerful way to identify and legitimize them by showcasing their reliance on socially created value. 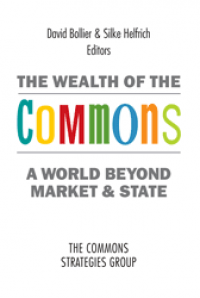 By seeing itself as the "anchor tenant" of the Commons Sector - and not as a standalone enterprise that is a junior partner to the marketplace or a peripheral player in the democratic polity - FLOSS can assert a stronger solidarity with the many worthy commons initiatives now emerging. It can also fortify democracy and the market economy by showing that the FLOSS ethic of participation, transparency, accountability and performance is not an aberration; its values and practices are broadly shared by a diversified and growing Commons Sector. One of the key challenges facing FLOSS - and online communities more generally -- is finding new ways to amplify this sensibility by federating and coordinating the energies of the digital commoners.